We were quite impressed by this little sensor when we got some on a breakout board from Sparkfun. 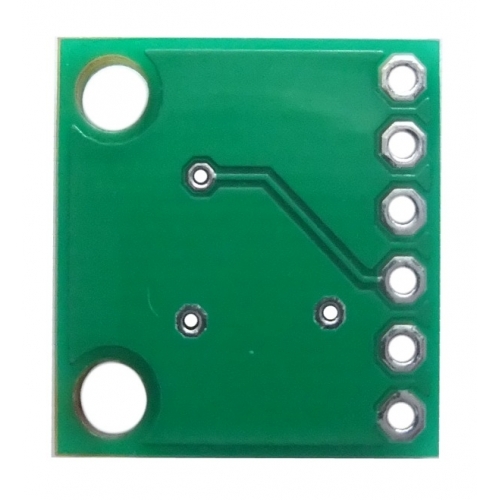 They are quite inexpensive so we built our own version of the Sparkfun board that is even better value for money. The pinout is the same so it can be used as a direct replacement. The MPL3115A2 is a MEMS pressure sensor that provides Altitude data to within 30cm (with oversampling enabled). 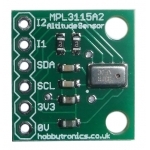 The sensor outputs are digitized by a high resolution 24-bit ADC and transmitted over I2C, meaning it's easy to interface with most controllers. Pressure output can be resolved with output in fractions of a Pascal, and Altitude can be resolved in fractions of a meter. 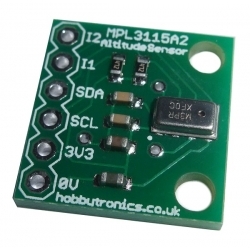 The device also provides 12-bit temperature measurements in degrees Celsius.